If you heard Bernie Sanders’s victory speech or manifesto after his victory in New Hampshire, you’ll know what he plans to do if he is elected. Give the gadfly Senator credit. He did win, he’s not hiding his agenda and he is honest, even when he extolls the promises of socialism. He really believes his rhetoric. Remember this is a guy who took his bride to the Soviet Union for a honeymoon when the gulags were over flowing and the socialist/communist government was showing its willingness to crush all dissent and spread their brand of totalitarian government throughout the world. Senator Sanders’s message is appealing to those who don’t care to learn from history. Education, medical care, high wages, infrastructure jobs, much higher taxes on the rich, destroy Wall Street, tax, regulate and punish corporations, equality of wages, no foreign wars are the main categories of his message. And it is all for free. It is not your fault you are not rich. The corporations, big banks, Wall Street, drug companies, the rich and all Republicans are in a vast conspiracy to deny you your just share. Lenin promised ‘land, bread, peace’ to the Russian people near the end of WWI. What they got was far different. The buds of democracy where frozen, millions of dissenters or suspected dissenters were killed and or imprisoned. All the freedoms we enjoyed today were never delivered by those promising the values of socialism and big government. Socialism under Lenin, Stalin, Mao, Castro, or the inmates running North Korea all promised the people great things while depriving them of everything. Socialism always results in loss of individual freedom, human rights and hope for a better future. It rewards its followers with never ending repression and a bare subsistence economy. The only people who do well in a socialist economy are the small group of elites who always end up running the socialist/communist government. Senator Sanders’s message is no different and the result will be the same. Like the attractive, crowd pleasing, politicians before him the message is wonderful, the results will be awful. To decode his message, follow the money. Like all the other Socialists/Communists/Progressives he cannot tell you in any detail where the money is coming from. You won’t hear anything other than the money will come from taxing and regulating the rich and corporations. The message about creating jobs by a massive rebuilding and repair of our roads, bridges, airports and rails sounds promising, until you realize infrastructure jobs do not create wealth. The money must come from somewhere else. That somewhere else is you. INSIGHTS 226 — ARE WE THERE YET? The president hadn’t been back down to see the Advisor for several days. The Advisor spent his time going back over the last several meetings. The president’s motivation was becoming clearer. The Advisor felt he was now able to understand the president’s actions. Once you broke the code his actions were understandable, but many would always believe he was a failed president who was just inept with a strange view of the world. The Advisor decided to record his thoughts in his journal. The president has only one goal and that is to transform America into a socialist nation to the left of the European model of socialism. He doesn’t care about solving problems that do not contribute to his transformation process. For example, he has long known the Affordable Care Act could not provide medical care to the nation’s population. 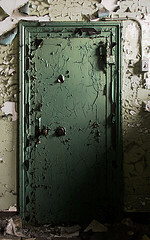 But it does bring nearly 8 percent of the economy under government management. Under his health care program, the medical treatment of citizens, especially the aged, would be become so costly with growing chaos that the people would clamor for the single payer system of true socialized medicine. A giant step toward complete socialization. Under the Dodd/Frank financial legislation, the nation’s financial system is steadily coming more under the control of the federal government. Small businesses are the backbone of the American economy. Dodd/Frank regulations and the Keynesian economic policies of the Federal Reserve are forcing the closure of small local banks that provided credit to small businesses and new startups. Without access to local credit, many small businesses are downsizing or going out of business. Bringing all commerce under control of the federal government is a necessary step toward national socialism. Large corporations are not immune from the impact of endless regulations flowing from the federal government. The coal industry is vanishing under this onslaught. Costs and regulations are preventing the building of new power plants and refineries. Exploration for new drilling sites is now limited to privately held or state-owned land. Even those areas are the target of increasing regulations. The tax structure with the highest corporate tax rate in the developed world is weakening the competitiveness of American businesses. You don’t need a revolution to convert a capitalist, free market economy into a socialist economy. The impact of high taxes, regulations that set standards for industry that cannot be met or are so costly they will destroy capitalism are enough. A few more years of progressive rule and the federal government will control whatever industries they chose. Socialism cannot be forced upon a nation with a military force that is not totally controlled by a progressive/socialist elite and where the population is armed. Therefore, the government must use whatever methods necessary to take weapons away from the citizens. The military can be lured into socialism by cutting funds, discouraging the development of new weapons, reducing the size of the armed forces, and throwing thousands of young men and women out into an economy with no jobs. What will these disillusioned and angry young people do? Probably blame the wrong causes. The last piece the president needs to transform America is to weaken the opposition. He has surely done that. Even though the people have spoken and rejected progressive control of the Congress and given the Republicans control of both Houses, the same hapless ineffective leaders are still in power. They don’t even know what is going on and are acting as if the president’s transformation of America is something they can handle over time by routine congressional procedures. By the time they wake up, it will be too late. Example: The Iran deal. This is a treaty by any definition, yet the Senate let the president take this action under his executive powers. If this were a treaty, it would need 60 votes in the Senate to approve it. Who can put a halt to transformation? The Supreme Court and the civil service are already won over to the progressive side. Only a new conservative strong leader can begin to turn this errant ship around. Time is running out. This is a account written by a fictional advisor who doesn’t exist but should. Check out the latest Jack Brandon mystery suspense novels at your local bookstore. Follow the author on Twitter @factsfictions80. In the late 1930s and early 1940s the Nazi propaganda chief, Goebbels, coined the phrase, “The Big Lie.” I’m sure the concept wasn’t original with him, but the Nazis used it consistently in their propaganda. The essence of the idea is that if you tell a big lie often enough, people will gradually come to believe it. I can take the theory even further. If you tell the same lie often and with conviction, you will believe your own lie. Conservatives and traditional Democrats have their image issues, but it is nothing like the progressive radical left that is now running the country. Progressives believe from deep in their DNA that the end justifies the means as long as the intent is to overthrow and replace the current political structure. Saul Alinsky, the brilliant guru of the progressives, explains this issue in his books. Reading his “Rules for Radical” is enlightening. Both President Obama and Hillary Clinton are Alinsky disciples. Hillary Clinton had a personal as well as an intellectual relationship with Alinsky. Conservatives tend to avoid the consistent use of lies as their core culture values the integrity of the spoken word. An even more famous example is President Obama saying repeatedly that, “If you like your doctor, you can keep your doctor.” He said the same thing regarding your health care insurance, i.e. “If you like your insurance you can keep your insurance.” He knew all the while that neither statement was true, but the end justified the means in his mind. He delivered these lies with such conviction, I believe he actually believed he was telling the truth. THE ROOT CAUSE OF PROBLEMS IN THE WORLD IS THE RESULT OF AMERICAN MILITARY AND ECONOMIC POWER OF THE PAST. This last big lie explains most of Obama’s policies and actions. He really is a man who is mentally and psychologically from a different era. He believes his legacy will be the progress he has made in the transformation of America and in changing the current world order. To accomplish this task he must first destroy the America he was elected to defend and protect and then, to destroy enough of the old world order to allow the ensuing chaos to give birth to the emergence of a fairer national and international society devoid of any super powers and replaced by a revitalized United Nations. 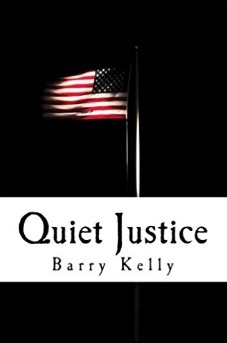 “ISIS Quiet Justice,” a new Jack Brandon novel dealing with ISIS in America, is now available from Amazon and Barnes and Noble in print form and nook and kindle formats. The darling of the progressive left of the Democratic Party is fast losing her appeal. A bit of pragmatism is settling into the progressives. To complete the socialization of America by destroying its economy and military power to make this nation an average member of the world order with a one-party system of government, they need to capture the White House in 2016. If they don’t, the progress toward socialism made by Obama will be wiped out by a party of mainstream Americans. I believe they are increasingly coming to the belief that Hillary cannot win. She just has too much baggage and few to zero accomplishments. She is not even a good campaigner. Her speeches are mind-numbing. 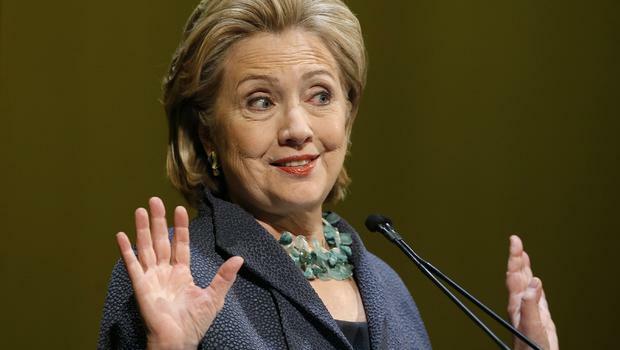 Let’s look at the balance sheet of advantages and disadvantages of Hillary Clinton. Beyond name recognition, I cannot point out any other asset besides, of course, her relationship with Wall Street. On the bad baggage side, she lost a primary to a first-term senator whose only accomplishment was that he could flawlessly deliver a speech as long as it was printed on a teleprompter. Barack Obama outsmarted the Clinton’s at every turn. He knew she was a poor campaigner. As Secretary of State I cannot think of a single accomplishment of hers beyond accumulating more frequent flyer miles than any of her predecessors. Our relationships with Russia, Sunni Arabs, China, Israel, NATO nations are all less effective now than when she took office. During her service as Secretary of State she acted as if she was above the law and government rules and procedures. Perhaps the worst was the tragedy of Benghazi. She knowingly lied to the surviving families of the dead Americans at Andrews Air Force Base as their loved ones were arriving in flag-draped coffins from Libya. She knew they died in an attack by terrorists and that she had denied the repeated requests of the State Department personnel in Benghazi to improve their security. Instead, she blamed the attack on an offensive video and promised to bring the responsible film producer to justice. He was punished but not in the name of justice. Of all the things I have seen in government, this is the most despicable of all. There is no end to the damage Hillary can cause. She can’t even leave government employment without breaking more laws with her incredible disdain for the use of government communications channels for all official communications. It is not only the need to maintain government records but also the protection of classified information that is ignored by the use of a private server in your own home. If anything, Hillary’s government operations are even less transparent than the president’s. But she won’t be thrown under the bus for these failings but for the growing awareness that she will be a loser. The progressives will draft someone else before the convention. 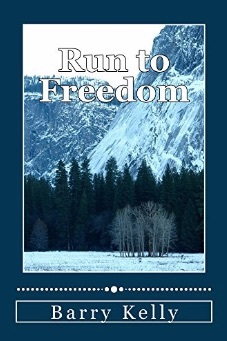 Written by the author of the Jack Brandon thriller/suspense novels and “Insights: Transforming America — Is This What We Fought For?” available now as an e-book, in paperback or hardcover on Amazon.com or BN.com. 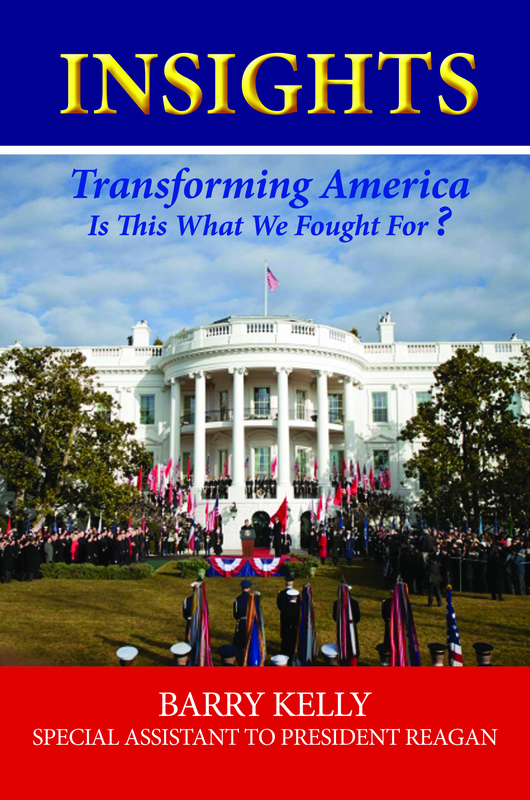 Another analytical book on the transforming process, “Insights: Stepping Stones to Tyranny,” is now published and available in paperback at $9.95 and on nook and kindle at $3.99. Follow the author on Twitter @factsfictions80. “ISIS Quiet Justice,” a new Jack Brandon novel dealing with ISIS in America, will be out in early April.